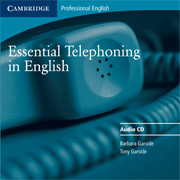 Essential Telephoning in English is a short skills course for adult learners of Business and general English. Its 11 core units cover a wide range of communication skills such as beginning and ending a call, taking messages, dealing with problems, making appointments and communicating information. The course enables learners to check their progress with three consolidation units as well as an end-of-course review unit. 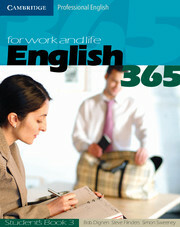 It has been designed primarily for use in class but is also suitable for self-study.  No real competition.  Essential telephoning skills.  Full colour.